Financial statements are formal financial performance records which shows how a company has performed in the last quarter/year and whether or not the company has made money. Consolidated Financial statements play a very important role in helping the investors to make proper investment decisions. Clause 3 of Section 129 of the Companies Act, 2013 has made it mandatory for companies having one or more subsidiaries, to prepare Consolidated Financial Statements. According to this section, if a company has one or more subsidiaries, it shall be required to prepare these statements, in addition to separate financial statements, of the company and of all the subsidiaries in the same manner as it prepares of its own. What actually are Consolidated Financial Statements? Consolidated Financial Statements are the financial statements of a group in which assets, liabilities, equity, income, expenses and cash flows of the parent and its subsidiaries are presented as those of a single economic entity. Parent company needs to inform its users about the financial position and results of its operations of not only of their enterprise itself but also of the group as a whole. This is why these financial statements are prepared to present the financial information of the parent company as well as its subsidiary (ies) as a whole. Standalone financial statements take into account the financial performance of the company as a single entity without taking into consideration the financial performance of its subsidiaries etc. Who must prepare Consolidated Financial Statements? All companies with subsidiaries (including associate companies and joint ventures). Listed companies under the IFRS maintaining the Indian GAAP. Unlisted companies, along with Standalone Financial Statements. The objective of a Consolidated Financial Statement is to provide users of accounts a complete picture of the company as a whole, including its holding and subsidiary companies. The overall financial health of the holding/subsidiary company (as the case may be) can be judged using the consolidated financial statements. Thus, if one wants to invest in the shares of the holding company or acquire it needs to evaluate its financial performance through Consolidated Financial Statements. Consolidated Financial Statements contain the Minority Interest data which indicates the amount payable to the outside shareholders of the subsidiary company at book value. The primary purpose of consolidated financial statements is to present the financial information of the company in a systematic manner for the benefit of the users of financial statements, like owners, creditors, investors, etc. The results arising from this control. In the individual statement of financial position of the parent itself, all that is shown is the parent’s investment in the subsidiaries, usually at original cost. There is no indication of the actual assets and liabilities of the subsidiaries that the parent controls. When are consolidated financial statements required to be prepared? As per AS 21 “Consolidated Financial Statements“, these are to be prepared and presented for a group of enterprises under the control of a parent. This AS does not prescribe which companies have to prepare Consolidated Financial Statements but specifies the rules to be followed where such financial statements are prepared. It may be possible that the subsidiary is acquired and it is held only to be transferred or subsequently disposed off in the near future and because of that, the control may be intended to be temporary. Or where the subsidiary is under severe long-term restrictions, which affect its ability to transfer funds to the parent. This means that if the parent company cannot bring the resources of the subsidiary company to its main resources due to some restrictions, then Consolidated Financial Statement is not required to be made. Hence, only for the above two cases investment by the parent company in the subsidiary company is treated as investment according to AS 21. Note– A subsidiary company cannot be treated as outside the group simply because the business of the subsidiary is not in line with that of the parent company. The format of Consolidated Financial Statements is prescribed under the Schedule III of the Companies Act, 2013. Under the “General instructions for the preparation of Consolidated Financial Statements” given in the Schedule III of the Companies Act, 2013, there is an option for the companies to disclose the list of subsidiaries or associates or joint ventures which have not been consolidated in the Consolidated Financial Statements along with the reason for not consolidating them. If you interested to learn the techniques of analyzing Financial Statements of a company, the Online Equity Research Analysis course will help you learn finding best stocks to invest for achieving long term investment goals. So should we completely ignore Standalone Financials? Till now you might have realized that Consolidated Financial Statements present the overall financial performance of the company. Therefore, these Statements are definitely a priority over the Standalone Financial Statements for making any investment in the company. However, one should not just look at the Consolidated Financials. Standalone Financials should also be checked and compared with the Consolidated Financial to get a deeper insight on the functioning of the business. This comparison of these two statements helps the user to get a deeper insight into the financial position of the company and the business decisions of the management. How to combine Standalone and Consolidated financials for historical analysis? As stated above, while doing the analysis of a company, Consolidated Financial Statements are preferred over any other financial data of the company. It is usually said that for doing the detailed analysis of a company, one should study the historical data of at least 10 years. However, it might happen that the company has formed a subsidiary only a few years back (say 5 years). For the period previous to 5 years, the company was preparing its standalone financial statements only and started preparing its Consolidated Financial Statement since last 5 years. It is presumed that an investor would like to do the complete study of the company for the last 10 years. For the period previous to recent 5 years, since the company did not have any subsidiary hence, it would have been preparing only the Standalone Financial Statements. The company must have started preparing its Consolidated Financial Statements only since last 5 years. Hence, for the period previous to recent 5 years, the investor should look at the standalone data and for period during recent 5 years, the investor should look at the consolidated financial data. Now, this is the question in everybody’s mind. The answer depends on whether your investment is in the parent company or the subsidiary/holding/joint venture/associate company. Below is the standalone and consolidated net profit of Tata Motors. When we look at the net profit, we realize that the standalone net profit is very fluctuating and even in negative figures while the consolidated net profit tells a whole different story. Hence, looking at both the data becomes very important for any investor to get a better understanding of the financial performance of the company. 2. Which PE Ratio to use? P/E ratio is one of the most widely used and sought after ratio for valuing a company’s share. Many investors look at this ratio without looking at the calculation methodology.  PE ratio is calculated by dividing the current market price of the share by its EPS. Now, the question comes which PE ratio to look at- standalone financials or consolidated financials? If the company is large and diversified, it is better to look at the consolidated financial statements as they show a better picture of the company as a whole and thus, it will be wrong to look at the PE ratio of the standalone financial results. Consolidated Financial Statements help an investor to get an overall picture of the financial performance of the group of companies as a whole rather than looking at the individual performance.Thus, these statements play a very important role in helping the investors to make proper investment decisions.